Casting revealed for new musical Eugenius! 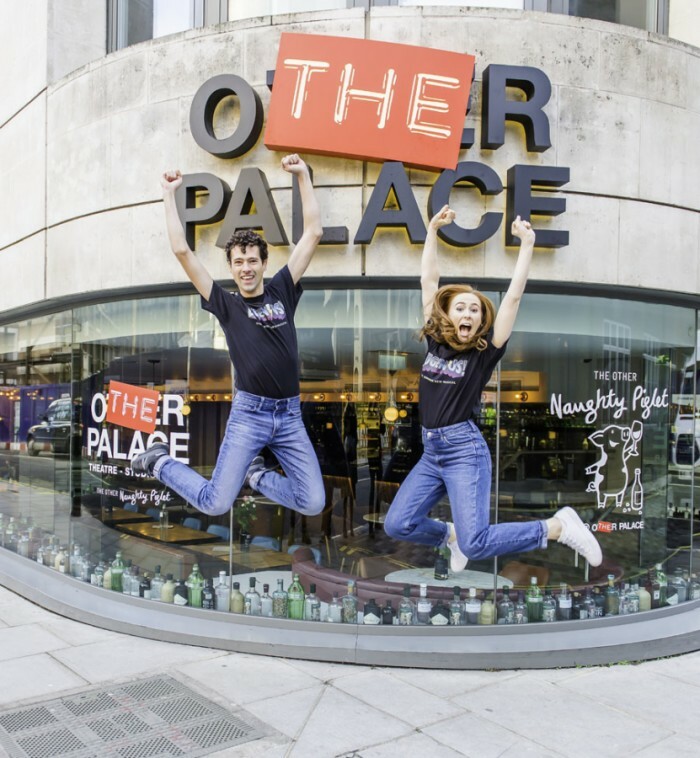 Casting has been revealed for the return of the eagerly anticipated new musical Eugenius!, the comic book-centred story which plays its first full run at The Other Palace from next month. American-born star Liam Forde will play the lead titular role of Eugene, the teenager whose dreams of a world of heroes and villains leads him to create his very own comic book movie in Hollywood. Laura Baldwin, currently starring in Big Fish The Musical at the venue, will play his love interest Janey. Joining them in Eugenius! are Daniel Buckley as Feris, Ian Hughes as Evil Lord Hector, Scott Paige as Theo, Cameron Blakely as Lex, Shaun Dalton as Gerhard, Melissa James as Carrie, Alexander Evans as Eugene’s Dad and Alison Arnopp as Space Diva/Mrs T. The cast is completed by Brian Gilligan, Jacob Fisher, Alex Tranter, Luke Dowling, Rosie Heath, Chloe Chambers and Frances Dee, and the show is produced by Star Wars and Harry Potter actor Warwick Davis and Kevin Wood. Written by Ben Adams and Chris Wilkins, the show started life with a one-off concert performance at the London Palladium last year. Eugenius! tells the story of Eugene, a teenage boy whose nightly dreams of a distant world of heroes and villains may just be the ticket to him creating his very own comic book movie in Hollywood. Joined by his best friends Janey and Feris, our comic writing genius must discover the true meaning of growing up, finding the superhero within, saving the world from both earthbound villains and possibly those from distant galaxies, and along the way, falling in love. The show starts previews at The Other Palace from Monday 22 January 2018. You can book your Eugenius! tickets through us here. The musical is also participating in our New Year Sale.